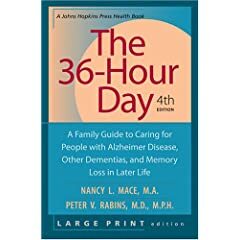 • As many as 5.2 million people in the United States are living with Alzheimer’s. • 10 million baby boomers will develop Alzheimer’s in their lifetime. • Every 71 seconds, someone develops Alzheimer’s. • Alzheimer’s is the seventh-leading cause of death. • The direct and indirect costs of Alzheimer’s and other dementias to Medicare, Medicaid and businesses amount to more than $148 billion each year. You can read more on the survey by following the source link. In a new national survey conducted by Hart Research, more than two out of three Americans polled (68 percent) think it is important to increase the amount of Alzheimer disease research funding and two out of three voters (67 percent) would be more likely to select a Presidential candidate who supports increased government funding for Alzheimer research. Among voters polled the concern about developing Alzheimer’s cuts across party lines with Republicans (64 percent), Democrats (68 percent), and Independents (66 percent). This survey found financing the expensive costs of long term care was a key issue on voters’ minds, as almost two thirds (62 percent) polled indicated they would be more likely to vote for a Presidential candidate who sought to increase financial assistance for families taking care of a loved one with Alzheimer’s. The links provided below will take you to the factsheets and full report published by the Alzheimer’s Association. Death by Complications from Alzheimer’s, What does this mean?